COSS stands for Crypto-One-Stop-Solution and represents a platform, which encompasses all features of a digital economical system based on cryptocurrency. The COSS system consists of a payment gateway / POS, an exchange, a merchant list, market cap rankings, a marketplace, an e-wallet, various coin facilities and a mobile platform. The COSS platform unifies all transactional aspects that are usually managed by means of FIAT money, and offers multiple cryptocurrency-related services in one place. The list of potential features of the platform can be infinitely extended, and will continue growing as the platform evolves. With COSS, usability issues, related to virtual currencies are resolved in an innovative way. The platform gathers the most popular cryptocurrency services and products into one portal allowing users to gain control over their finances, to manage transactions, to integrate merchants’ payments, to deposit funds and so much more. COSS has an international team spread across the world with the managing board based in Singapore, and branches in New York and Bucharest (development team). Apart from having the core team members residing in the above-mentioned locations, we take a great advantage of being decentralized and inclusive at the same time by having team members spread across the world and contributing to COSS remotely. The main goal of COSS is to bring cryptocurrencies to the masses. What COSS aims to cater to its users is a complete experience of accessing the available cryptocurrency services and products in the same place. From the very first moment a customer decides to use cryptocurrency he/she will be guided through the platform and its features. Protected from any unwanted negative experience, the user will continuously find the new possibilities to use the platform and to interact on it. By means of this integrative approach to virtual currency services, the platform aims to become the most preferred medium, familiarizing the COSS customers with the cryptocurrencies and the ways of using them. For this purpose, the COSS platform is equipped with its own token, a wallet, an exchange, a merchant platform, payment gateway / POS and a list of features that are closely related to the use of crypto. COSS is a 100% self-funded project that did not rely on any external investments prior to and upon its launch. The new and very expansive curve of its development implies launching a token native to the platform that will provide investment opportunities to people who share the COSS vision and believe in the project’s potential. The name of the token is COSS. The COSS token is a revenue-generating cryptocurrency, that enables owners to receive revenues in the form of transaction fees charged by the COSS system for cryptocurrency transactions. The revenues are transferred to the COSS token holders’ wallets on a weekly basis. The interest is generated by the transaction fee when transactions in Bitcoin, Ether, and other cryptocurrencies supported by COSS are carried out on the exchange and/or through the POS/Payment Gateway. The cryptocurrency withdrawal fees generate the revenue for the platform, however most of the fees are used by the network to process the withdrawal. Throughout this process no direct revenue is generated, which means that no amount of the withdrawal fee is shared with the DAO token owners. COSS utilizes the maker-taker transaction fee scheme, that generates a pure revenue for the platform. The fee is charged from both members of the traded pair. 50% of this revenue is shared with the DAO token owners. The merchant selling goods by means of the payment gateway or the POS creates the revenue for the platform. The fee is generated in the cryptocurrency that is used for that respective transaction. 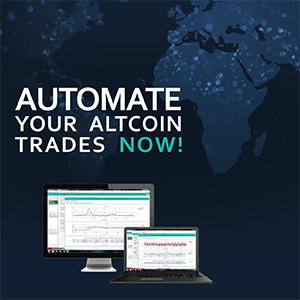 The fee is generated in both cryptocurrencies traded within a pair. In the case of a FIAT pair, only the fees paid in cryptocurrencies will be distributed to the token holders. The main reason why cryptocurrencies keep gaining traction is because the use of FIAT currencies imposes limitations on users, such as inability to provide identity protection and the safety of the transaction process. The problem of credit card payments is that it is an extremely cumbersome process that requires not only a customer and a merchant, but also banks, acquirers, payment processors and a group of organizations operating the network, to participate. This brings up a number of middlemen in discussion, and also increases the transaction costs. Although the payment technologies are constantly evolving, and the concern about the peer-to-peer (P2P) payments is increasing, in this highly competitive environment, all the players are now working hard to maintain their position in the market, and to disrupt the status quo. This is done to eliminate the complicated and inefficient set of separate processes that are at the core of every payment system. The payment ecosystem is limited to being a counterpart of a broader commercial landscape, in which fraud management and data privacy are carried out integrally within the IT security framework. This framework spans towards the Internet, mobile devices, social networks and cloud services. As a result, the payment-processing organizations have to manage the risks associated with the online payments in FIAT currency via a complex and slow mechanism. On top of that, many Fintech applications have vulnerabilities when it comes to fraud, theft and chargeback prevention, carrying out cross-border transactions, providing data security, multi-currency payments and on-the-go payments. Satisfying customers’ needs for payment options and localization; Meeting security, privacy requirements and regulations; Reducing complexity across the payment ecosystem. Buy COSS and start generating revenue today! Previous Post Previous post: Keep emotions away in this game!